My friends envy me, saying that I do not seem to worry about my monthly period. During the exam period, they keep asking me why! 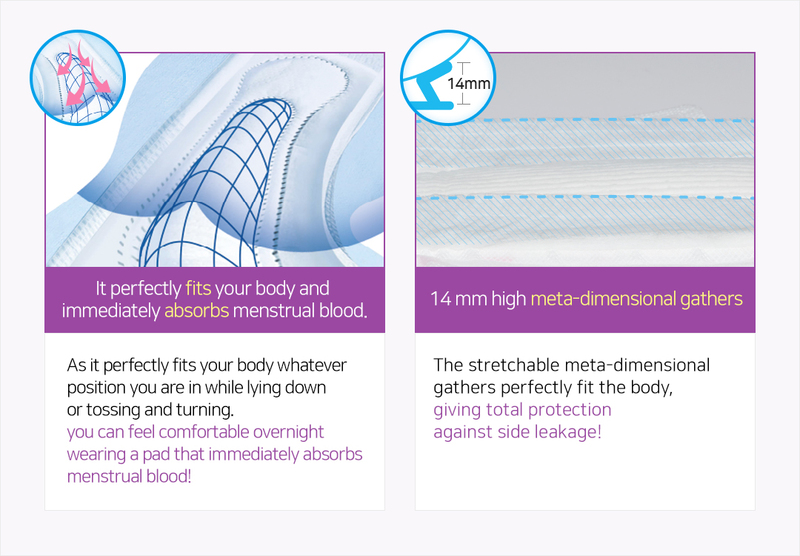 during my monthly period is 100% Organic Cotton Cover Comfort Sleep. I am lucky to experience deep sleep even during those days of the month! 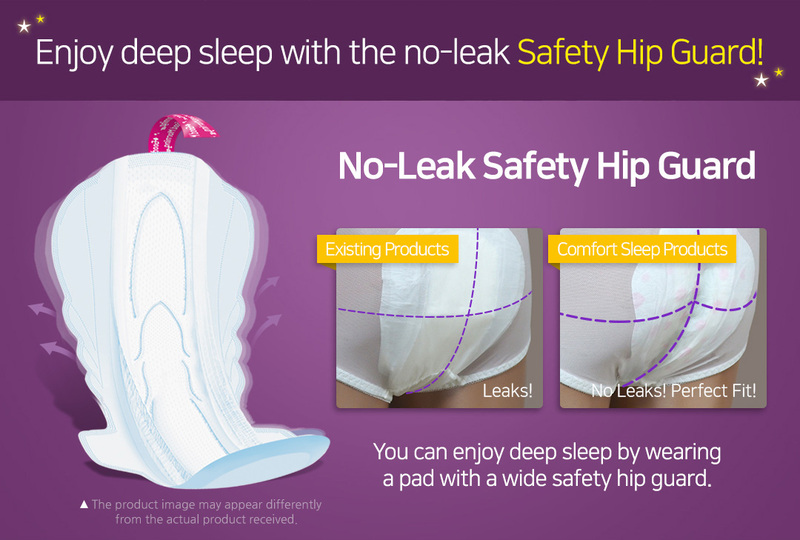 hip guard of Comfort Sleep. This hip guard perfectly fits with and covers the curve of my hips, giving total protection against leakage. I can cleanly and discreetly dispose of sanitary pads. I have become able to finally enjoy deep sleep. #Dermatest #DermatologistTested #NoSkinIrritation #ExcellentMarkObtained With the 100% Organic Cotton Cover, which has obtained the â€œExcellentâ€� mark after the skin irritation test at Dermatest, a German dermatological research institute known for imposing strict standards and procedures, you would feel comfortable during your monthly period! this sanitary pad is safe for use and is less irritant to the skin. agricultural pesticides nor chemical fertilizers were used for more than three years. ëˆ„ìš´ ìž�ì„¸ì—�ì„œë�„, ë’¤ì²™ì—¬ë�„ ì�¸ì²´êµ¬ì¡°ì—� ë”°ë�¼ ì§€ì†�ì �ìœ¼ë¡œ ë°€ì°©(fit) ë�˜ì–´ ë°¤ ë�™ì•ˆ ìƒ�ë¦¬í˜ˆì�„ í™•ì‹¤ížˆ í�¡ìˆ˜í•´ ì•ˆì‹¬í• ìˆ˜ ìžˆì–´ìš”! ì´ˆìž…ì²´ê²Œë�”ê°€ ëª¸ì—� ì‹ ì¶•ì„±ìžˆê²Œ ë°€ì°©(fit) ë�˜ì–´ í‹ˆì�„ ë§Œë“¤ì§€ ì•Šì•„, ì˜† ìƒ˜ì—�ë�„ ì•ˆì‹¬í• ìˆ˜ ìžˆì–´ìš”! which will help you stop worrying about leakage. 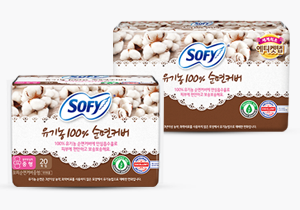 SOFY Hangyul Comfort Sleep 420, a must-have item for a restful sleep during your period!